In defense of his unpopular legacy, President Obama asserted that “the thing’s working.” I’m sorry, Mr. President, but the Public disagrees. President Obama commented on the Supreme Court and the upcoming King v. Burwell decision, exacerbated, stating that “This should be an easy case. Frankly, it probably shouldn’t even have been taken up.” He refuses to plan for or comment on the possibility that SCOTUS will rule against the administration and end the illegal subsidies. Interestingly, President Obama’s dissatisfaction with the Supreme Court is widely felt. According to a CNN/ORC poll, when asked if they trust how the Supreme Court is handling nationalized health care, only 50% of Americans said they do to at least a moderate degree. This number, contrasting with a 69% positive response when asked about issues of free speech, is pretty dismaying. With 55% of Americans opposing ObamaCare, and only 11% saying that it has been a success thus far, I think it is safe to say that Americans are unhappy with the SCOTUS performance for different reasons than President Obama. Michael Greibrok recently wrote for FreedomWorks regarding the tendency of the Supreme Court to rule based on good policy as opposed to constitutional legality. When Supreme Court justices make a habit of deciding cases based on what they think is right rather than what is in the Constitution, the court becomes politicized and invites personal morals and values into decisions that should be made based on an unbiased interpretation of the law. 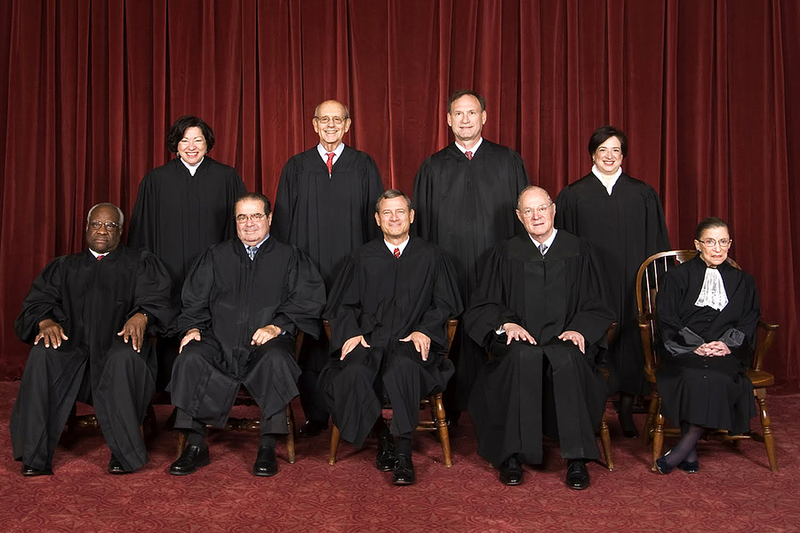 This is how the Supreme Court loses its trust, respect, and authority. This is a very big case, capable of completely disrupting the 2010 healthcare legislation. It is disappointing to know that a majority of Americans are unhappy with the current job of our highest court. While the court is meant not to be swayed by outside politics, accountability is certainly expected from elected officials. Disapproval across the board (for President Obama’s healthcare legislation and how the Supreme Court has regarded it) begs the question, what happened to the will of the people? What happened to the Constitution? Read More About Health Care Reform!